Chrome Moly steel is an alloy that is considerably stronger and harder than standard steel and is used for process equipment designed for high temperatures . It is often used in construction and manufacturing industries. 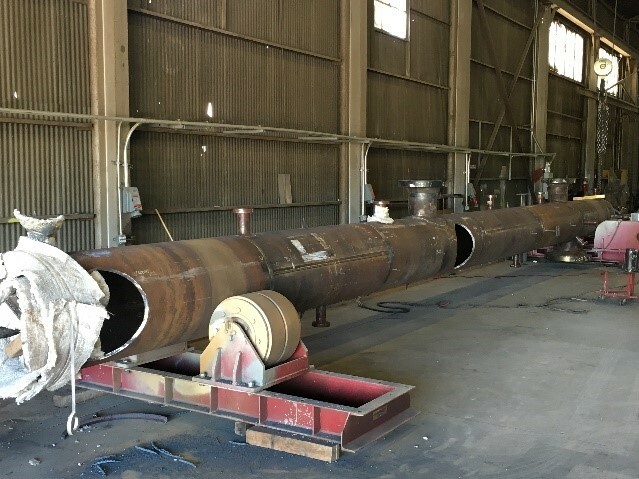 Boardman has fabricated projects such as hydrotreater reactors using SA 387 with 321/347 clad material, cyclohexane reactors using SA 387 Gr. 11 Cl. 2 material and trickle bed hydrogenators using SA 387 Gr. 11 material. Our production team understands how to control temper embrittlement and minimize stress concentrations to eliminate cracking.